13. Where was Babel? - Is Genesis History? Part of the Explore the Film series. Ancient architecture reveals that many cultures were extremely advanced in their tracking of celestial bodies. During the start of the Post-Flood epoch, one of them sought to build a high tower but was frustrated by God through the confusion of spoken language. Although there are several Mesopotamian cities called ‘Babel,’ only Eridu shows evidence of an enormous tower that was left unfinished and a mass dispersion of people in all directions —all just before the emergence of the written form of different languages in Southern Mesopotamia. Exploring IGH: 13. 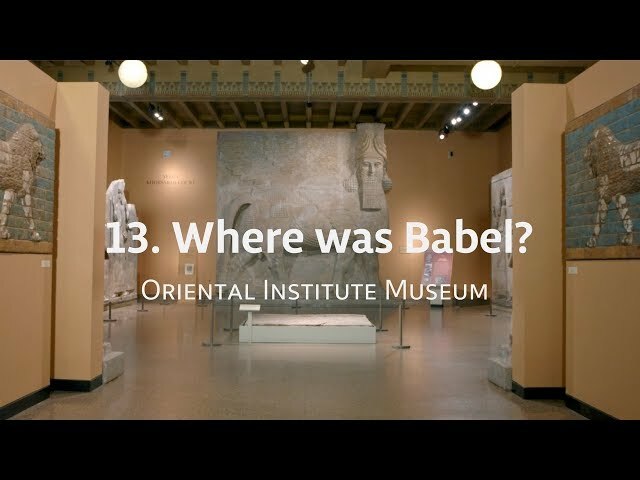 Where was Babel? Dr. Doug Petrovich’s videos and articles. Producer, Writer, and Director of "Is Genesis History?" 5. How Do You Measure Time? 2. What do the Rocks Tell Us? 4. What Does the Text Say? Is Evolution Compatible with the Bible? Why is Genesis So Important Today? What did Jesus and Luke say about Genesis? What is the Evidence for the Tower of Babel? A fascinating new look at the biblical, historical, and scientific evidence for Creation and the Flood. Learn from more than a dozen scientists and scholars as they explore the world around us in light of Genesis.